Join Totsy to receive exclusive sales for kids, moms, and families. 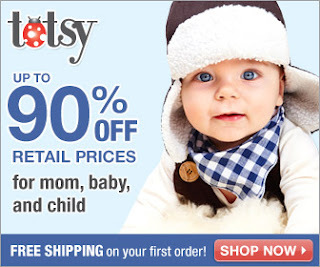 Totsy offers moms on-the-go and moms-to-be access to brand-specific sales, up to 90% off retail, just for them and the kids, ages 0-8. Sign up today!